It is useful to have some jobs to do on wet or cold days and apart from preparing some festive arrangements, this week it has meant pruning the grapes. These are many decades old and planted outside the greenhouse and trained inside. We had a disaster in March when a fire meant up to two thirds had to be cut away from the upper parts of them but the lower part was saved and fruited this summer and I allowed some long shoots to grow so they can be tied in this winter. 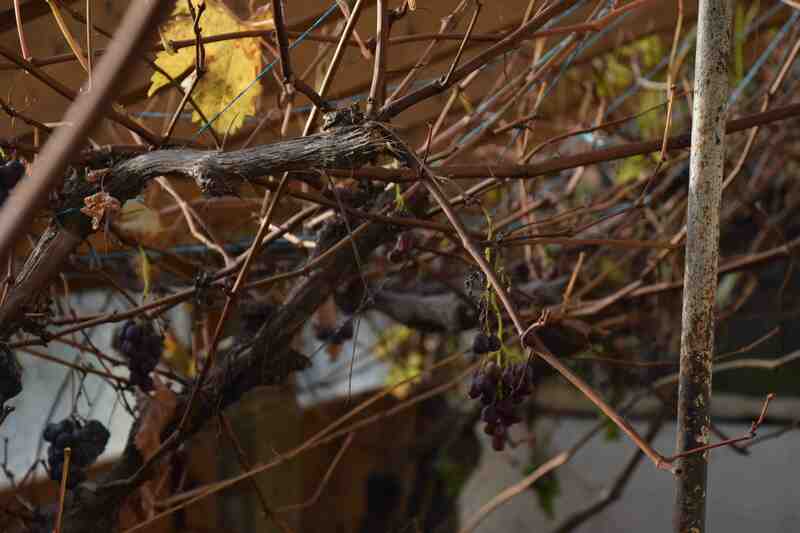 Pruning grapes has a terrifying reputation but it is basically quite simple and there is really only one golden rule – you prune them only when they are completely dormant. That means pruning sometime between mid December and late January. If you leave pruning till the sap starts rising in spring the cut surfaces will bleed, as happened this year when the emergency pruning meant the vines had to be pruned in late March and the vines bled profusely. The vines survived but it did affect their early growth and cropping. So, back to pruning. Your vine in summer will have two types of growth: the permanent stems which will be brown and many years old and the new growth, that is always less than 10 months old that carry the leaves and fruit and which will be green. 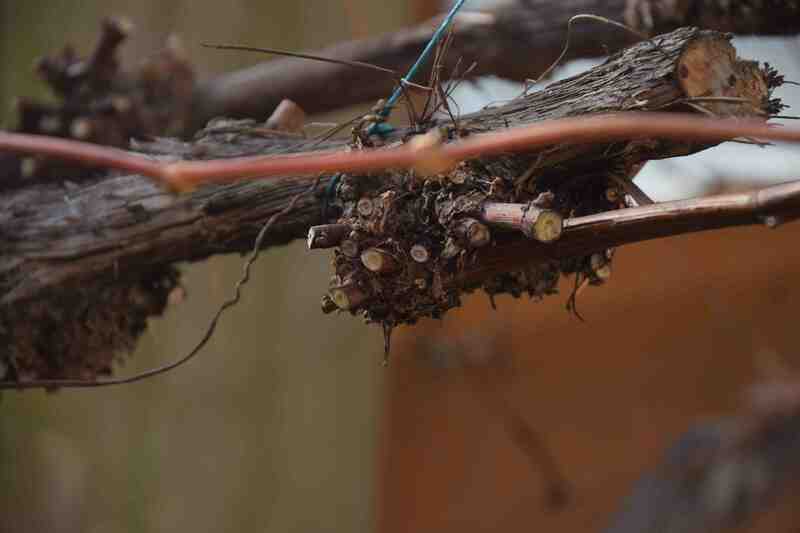 Once you have created your framework of permanent stems, which are usually called ‘rods’, all you do in winter is prune back all the new growths back to one bud. After several years you may end up with a congested mass of knobbly growths and you may need to cut these right back to the base to thin out the growths. And that is basically it. It is also a good idea to strip off the loose bark where pests may be hiding – a brush usually works. I used a power washer to clean the glass and wall of smoke damage and I used that to clean the bark while I was at it – obviously there was only cold water and no detergent. So that is basically it – simple but get the timing right. It’s on my to do list!